May 2013 – South Kerry Development Partnership CLG. South Kerry Development Partnership Ltd. CEO Noel Spillane said that the organisation is extremely disappointed with the funding allocation it has now received from the Rural Development (LEADER) Programme as announced by Minister Phil Hogan earlier this week. SKDP’s revised allocation under the programme is €9,998,740 down from an original allocation of €12,370,667, which represents a cut of just over 19%. Included in this revised allocation is a ring-fenced allocation of €196,000 for the South Kerry Gaeltacht area. When the revised allocation is adjusted for the ring-fenced Gaeltacht figure, the actual cut is over 20.7%. CEO of South Kerry Development Partnership Ltd, Noel Spillane noted that the 20.7% cut in budget was a massive reduction in the Rural Development (LEADER) Programme budget for South Kerry and was totally unjustified. Noel Spillane went on to note that the ring fenced allocation of €196,000 for the South Kerry Gealtacht area was totally inadequate given that the MFG legacy files alone exceeded this allocation amount. “This is an insult to the people of the Gaeltacht” according to CEO Noel Spillane who went on to point out that the RDP (LEADER) programme was effectively closed to these people for more than a year when MFG went out of business and now no funding has been provided to cater for new project applications. 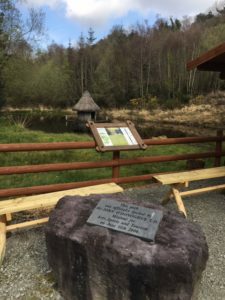 “We currently have new project applications with a value of more than €300,000 from the South Kerry Gaeltacht area and this allocation means that we don’t even have sufficient funding available to deal with the older legacy projects” he said. The issue will come before the Board of SKDP at their monthly meeting on Tuesday next and It is anticipated that a formal written compliant will made by SKDP to the Dept. of Environment, Community & Local Government. What additional action to take at both a local and national level to fight these new cuts will be will also be considered. KGC (Killorglin General Cycles) Bicycle Repairs is becoming a trusted institution in Killorglin, Co. Kerry due to the personal and informed service that is offered to customers. KGC Bicycle Repairs was founded by Kieron Corcoran who is passionate about bikes and fully experienced to deal with everything from a puncture repair to a full bike rebuild including Go Cart and Buggy repairs. Kieron tries to cater for all custom from kids to adults and can also provide expert advice on elite bikes that may be custom built to order. Kieron realises that people are becoming more health conscious and will use cycles not only to commute, but as a form of fitness and relaxation. Cycling to and from work is as good, if not a better, form of healthy living than going to the gym in today’s hectic lifestyle. KGC Bicycle Repairs customers benefit from the practical and sound advice offered by Kieron on bikes and accessories including clothing, of which Kieron also supplies a comprehensive range of and which can be ordered upon request if not in stock. KGC Bicycle Repairs are happy to do every type of job from small adjustments to major reconditions, frame repairs and will work on all types of bikes including new and old such as High Nelly’s and also offers a mobile service whereby they will provide a pick up and drop off service. Further details on KGC Bicycle Repairs can be obtained by contacting Kieron directly on 087 283 3814. This exciting new enterprise has emerged in 2012 with the help of the Short Term Enterprise Allowance (STEA) facilitated by South Kerry Development Partnership Ltd (SKDP). This scheme encourages people getting certain social welfare payments to take up self employment opportunities by allowing them to retain a proportion of their social welfare payment, plus secondary benefits. Kerry County Councillors agreed at their monthly meeting on Monday to submit without a vote three motions in support of the continuation of Partnerships in their current format to Minister Phil Hogan in the Department of the Environment, Community & Local Government. Under proposals from Minister Phil Hogan, new Socio Economic Committees would be formed and the proposed new RDP (LEADER) Programme would be brought in under the control of the County Councils. This move would effectively result in closure of Partnerships given that the vital source of core multi annual administration funding that LEADER provides would be removed. Local community groups also see this as a move to take away the input and direction they provide in relation to how rural development funding is allocated and spent in their areas. They feel this will lead to the further isolation and neglect of rural areas which are already under serious economic and social pressures. Most Councillors at the meeting spoke in favour of the retention of the partnerships and a number of them left the meeting sighting conflict of interest. Given the overall support in the chamber, the motions did not go to a vote. 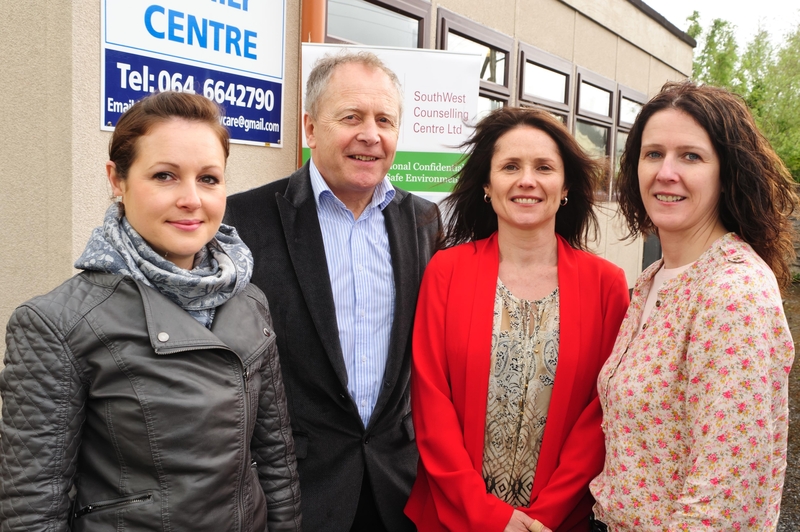 Kenmare Family Centre, in partnership with Southwest Counselling, has launched a new low cost counselling service in Kenmare to help those who face difficulties in the current times. An understated modern approach to beauty makes Marianne Wiley Make up Artist’s talents indispensable. These skills combined with her infectious personality have helped Marianne to become a favourite with all her clients. 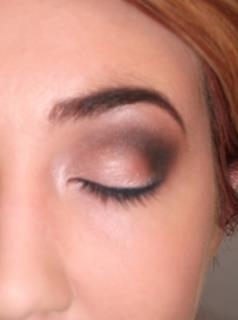 A qualified Beauty Therapist ITEC, CIBTAC and FETAC, Marianne advanced her makeup artistry talents at the LA College of Creative Arts in Dublin. Marianne aims to make every woman feel beautiful, brave and confident. A vast suite of services are offered by Marianne from Bridal Parties and Special Occasions to Makeup Lessons, Hen Parties and even Girls Night In. Marianne is based in Kenmare but her services can be offered in the comfort of your own home, hotel or a location of your choice throughout Munster. The range of products used by Marianne includes well known and respected designer brands such as: YSL; MAC and Make up Forever Paris. Marianne is a passionate and highly professional makeup artist with a strong creative drive, entrepreneurial qualities and business acumen and it is to this end that this new venture has emerged. Further information can be found by contacting Marianne directly on 087 7730775. A packed public meeting in Killorglin on Thursday night last called on the Kerry County Councillors present to back their words of support for the retention of Partnerships with deeds and to vote in favour of a motion backing Partnerships at the next council meeting. 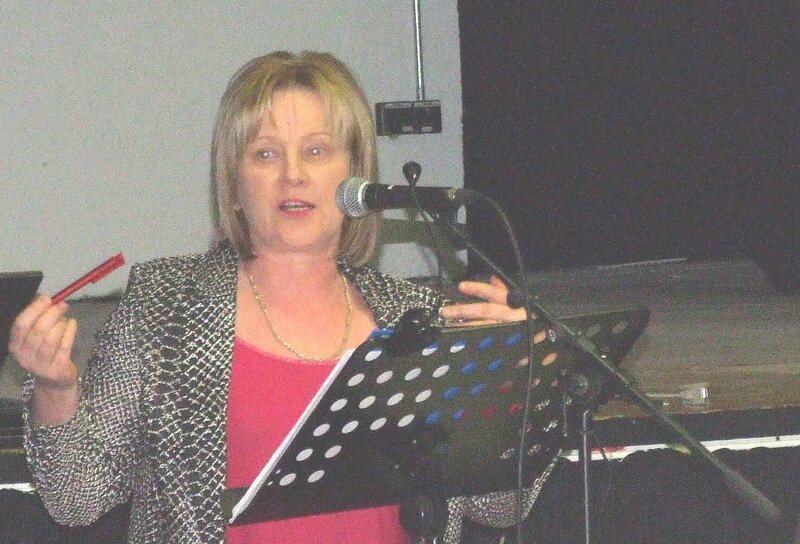 The meeting in Killorglin was organised by the Iveragh Community Groups against Alignment who are mounting a strong campaign to have proposals by Minister Phil Hogan that would effectively see the closure of Partnership groups such as South Kerry Development Partnership throughout the country. Many of the Councillors present indicated that they were precluded from voting in favour of two such motions previously put down by Cllr. Johnny Healy Rae due to conflict of issue matters. However Dr. Brendan O’Keeffe from the Geography Department of Mary Immaculate College pointed out that such issues did not pose any issue for councillors in other parts of the country who voted unanimously in favour of motions supporting the retention of Partnerships. 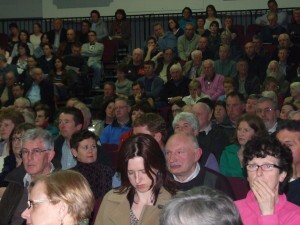 Amongst the political representatives who attended the meeting were Munster MEP Phil Prendergast, Deputies Arthur Spring, Tom Fleming and Michael Healy Rae and Senator Marie Moloney while apologies were received from MEP Sean Kelly and Fine Gael Deputy Brendan Griffin who cited the requirement for them to attend other engagements for their non attendance. Among the Kerry County Councillors present were Michael Cahill, Patrick Connor-Scarteen, Johnny Healy-Rae, Brendan Cronin, Matt Griffin, Michael O’Shea, Sean Counihan, Paul O’Donoghue, Torieasa Ferris and P.J Donovan. Killarney Town Councillor Donal O’Grady was also present at the meeting. Speaking at the meeting, entrepreneur Jerry Kennelly said that his is totally opposed to the proposals to bring the Rural Development Programme under the County Councils as is proposed in the Alignment initiative. He highlighted the support and assistance he received from both SKDP and NEKD with his entrepreneur programmes. He said that people have lost enough power over the future of Ireland and this was an attempt to take further power out of the hands of the people. Dr. Brendan O’Keeffe of Mary Immaculate College, University of Limerick, outlined to the meeting how the current proposals are totally at odds with current European Policy on rural development and the delivery of funding to rural communities. He highlighted that the level of bureaucracy in Ireland is on par with Portugal and Greece and these proposals would make the situation even worse. This is also very much at odds with the rest of Europe which is trying to strengthen the role of local democracy not end it. Dr. O’Keeffe added that the current proposals take no account of the facts that independent studies have clearly shown that the Irish model of bottom up community development is the most effective delivery model and rather than dismantling it as is currently proposed, it should be further strengthened to effectively deliver the services to where they are needed. SKDP CEO Noel Spillane pointed out that much of the information around the partnerships that is being put in the public domain at present is false given that there is no duplication of services being provided between the Partnerships and the councils. He also pointed out that the Boards of the Partnerships are in fact strongly democratic given their makeup of community representatives, elected representatives, agencies and social partners and that all partnerships are fully open and accountable for the work they do and the spending they undertake. Furthermore, he pointed out that the partnerships are not opposed to the introduction of the Socio Economic Committees as suggested in the proposals rather they are opposed to the functions being allocated to these committees that would see them take over responsibility for the implementation of the Rural Development (Leader) Programme. Many voices from the floor strongly supported the partnerships in their current format and made it very clear to all the politicians present that they wanted the message to be taken back loud and clear to Government and in particular Minister Hogan that they totally opposed his current proposals and are calling on him to change them immediately. They also indicated that they will start a campaign to highlight the issue to both local and national media as well as to political representatives so that their voices and opposition to these proposals are clearly heard.